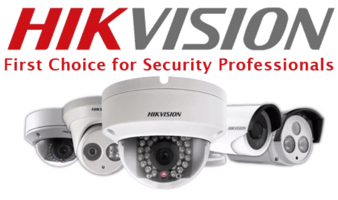 So what is a Hikvision PTZ Camera? A pan–tilt–zoom camera is a camera that is capable of remote directional and zoom by a control unit or from an iPhone Application. 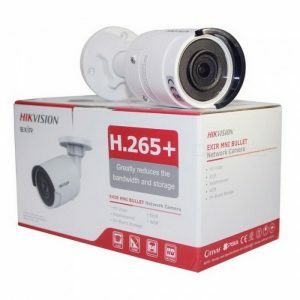 Hikvision PTZ (Pan/Tilt/Zoom) security cameras provide many benefits over standard static Hikvision Dome security cameras. 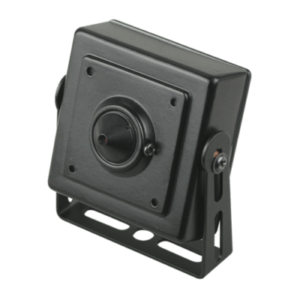 With static dome or bullet cameras, the field of view is determined at the time of the installation and will never change without a manual adjustment of the mounting angle or a change of the camera lens even if this possible by using a varifocal camera. PTZ cameras now offer great flexibility and furthermore, with the technology that Hikvision PTZ now offer its amazing simplified install with their ability to rotate on a 360-degree plane. Just like our other security cameras, Hikvision PTZ cameras offer remote viewing software so you can view and even control your cameras from your laptop computer, iPad/iPhone, Android device, or other smartphones anywhere in the world. Hikvision PTZ cameras offer uncompromising security and, depending on the features you require, it now can be installed for a price that won’t break the bank. 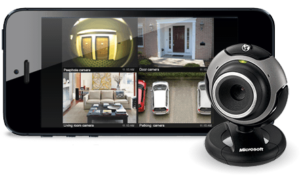 Below, we cover 11 of the key benefits that Hikvision PTZ security cameras have to offer. Depending on your Hikvision PTZ mounting location they can cover a full 360-degree area. Most Hikvision PTZ models allow the installer to set several surveillance modes based on the viewing angle you need at pre-determined times. Furthermore, both the pan and tilt can be pre-programmed. 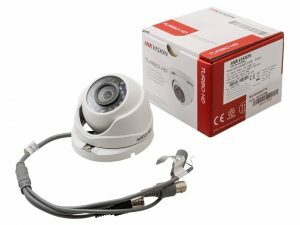 This gives you an easy install for locations such as parks or Yards that would normally need a multi-camera CCTV install. Sometimes, two PTZ cameras can cover large areas, helping minimize your costs while maximizing the level of Security. Hikvision PTZ Cameras come with built-in tracking which can be set to detect motion and track the person or object, automatically panning, tilting or zooming to follow the person or object as it moves. 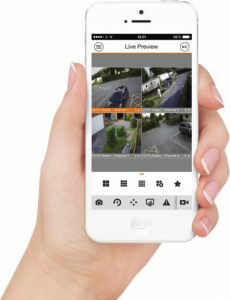 Hikvision PTZ Cameras tracking is a great benefit and will provide you with the video evidence you need in case of theft or vandalism to your property. At CCTV smart systems we say Don’t skimp on this feature when buying a Hikvision PTZ camera – make sure it has the full motion tracking capabilities built in. Night vision is very important on Hikvision PTZ cameras and will benefit when you need to provide surveillance in an area with poor lighting conditions. How does this work? well, its based on the amount of light it uses to capture a high-quality HD image. Hikvision’s advanced PTZ Speed Domes developed over the past 2 years have the ability to capture images in total darkness. You may ask how is this even possible? 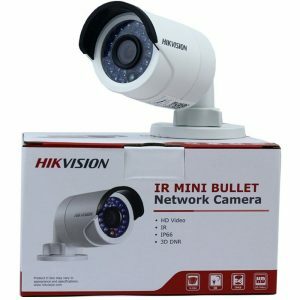 Well, it is accomplished with the use of small but powerful LEDs that emit infrared light and a special IR filter for the camera lens that then allows the Hikvision PTZ Camera to capture almost perfect video images even in extream dark conditions. Infrared light is not visible to the human eye, but through the use of an IR Filter the camera sees a well light area. It’s important that you understand a PTZ Camera that is rated for a detection range of 500 feet or more will usually be rated for a maximum range of 300 feet for night time viewing. 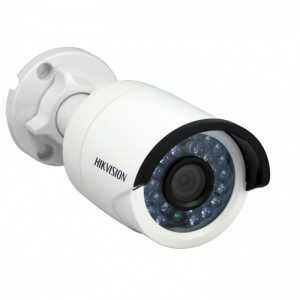 At CCTV Smart Systems we recommend you set up your Hikvision PTZ cameras in the same lighting conditions that they will be recording in, whether it be dark or bright conditions. 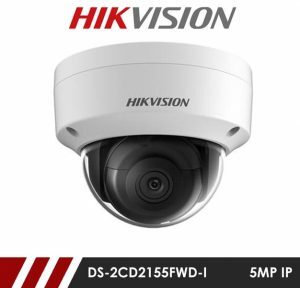 At the very high end of the product category, Hikvision PTZ Speed Domes with both Night Vision and Motion Tracking have also recently been introduced. 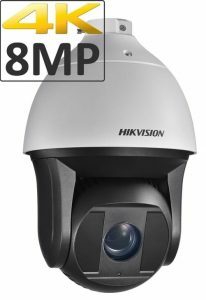 You should expect to pay around £2499.99 for a top of the range Hikvision PTZ Camera with both night vision and Motion Tracking features. Hikvision Pan Tilt Zoom cameras are made to live in even the harshest of conditions. Hikvision PTZ cameras are built for extreme outdoor and indoor conditions. Wind, rain, snow and even extreme heat won’t affect the camera’s performance. This will give you the ability to install them in even the most remote locations, for example, a rooftop and the sides of tall weathered buildings. 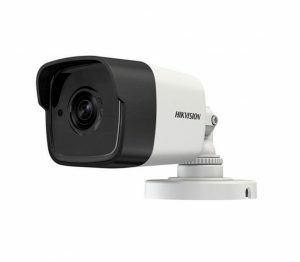 All the Hikvision PTZ Cameras are available with detection ability of around 100 feet on the low end and even up to a 1,000 feet on the more expensive Hikvision models. This is amazing that it will give you the ability to zoom in on a person or an object from around 10X to 36X for the higher quality level Hikvision PTZ Speed Domes. Because the more advanced Hikvision PTZs with tracking ability will provide 36X zoom providing a clear HD and even 4K image of a person or object several hundred feet away. This is perfect for your large parking lots or even farmyards as it allows the camera to be discreetly out of sight from most people, but at the same time giving you the ability to zoom in for a clear picture of what’s going on via your remote device. Most of the Hikvision Pan Tilt Zoom cameras have four alarm inputs. And you may ask what are these used for? Simple, This allows you to connect other important devices such as internal and external motion detectors, door contacts and glass break sensors like you find at your home attached to your alarm. Then when any activity occurs in those particular hot spots, the PTZ camera can be programmed to stop all other programmed activity and zoom in on the area to record what is going on. What is the best position to fit a PTZ? Well, CCTV smart systems think the ideal location for a PTZ camera is mounted high above the ground. This gives the best view possible and allows it to view a wide 360-degree range. This also allows them to have a certain level of protection. Additionally, most Hikvision PTZ cameras are built with rigid metal housings and use high-strength poly-carbonate domes that are virtually shatterproof to vandals. Sounds Good? and all this while still providing crystal clear HD 4K images and offering you full pan, tilt and zoom control. 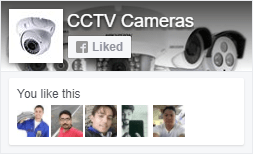 We are proud to say that at CCTV Smart Systems, unlike some cheaper dome or bullet cameras, all PTZ security cameras have full range auto focus built in. This ensures that no matter where you pan, tilt, or zoom the camera, the resulting picture will always be clear. Most Hikvision PTZ cameras also have an auto adjust IR LED that quickly focuses the picture when moving the camera in areas of complete darkness – a feature almost always missing from cheaper PTZ security cameras. 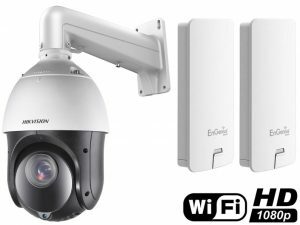 As we mentioned before, Hikvision PTZ cameras can cover a much wider range of property than even multiple well-placed fixed cameras. Rather than drop £5000-£10000 on monitoring your Car parking, garage, or even your property with several fixed hikvision security cameras, consider whether one or two Hikvision PTZ cameras can meet your needs. Because from our experience they usually can, and if so, will save you a lot on both the initial cost as well as the time spent installing your own system. On all the Higher end Hikvision PTZ high-Speed Domes are also available in 4K IP Versions and will deliver resolutions from 1080P to 4K. Alternatively, you can also choose from PTZ Speed Domes featuring new HD-SDI Technology. This specialised HD-SD I PTZ cameras provide high definition video in full 1080P resolution and are much easier to install and maintain than IP Cameras. HD-SDI Cameras are installed and set up exactly the same way as standard analog cameras. 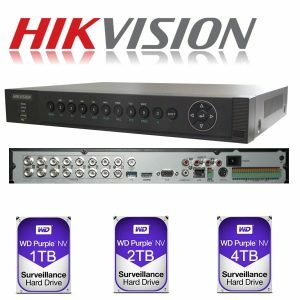 Both HD-SDI and IP cameras are only recommended when you need the highest resolution images possible for your installation. The main reason is that they require 2-4x as much hard drive space as regular analog security cameras, which can prove costly for large installations. Finally, because we are proud of our free installation consultations we can come help you design a Hivision PTZ setup. This will help you decide on whether you need a PTZ tracking camera or just a standard Pan Tilt and Zoom. All you need to do is give us a call and we can do the rest.